Ahoy, there from the Argo crew! So first off I would like to apologize to my friends and family who I have not been in contact with, I lost my phone while bathing in a hot spring on our hike to the Boiling Lake in Dominica. While inconvenient, I’m not too upset about it and I find that life without a phone is a little more sweet. That being said feel free to Email or hit me on Facebook and I’ll probably get back to you at some point! This morning was consumed by a sweaty passage prep for our voyage from Cartegena, Colombia, to Colon, Panama. Everyone worked hard to ready the deck, quarters and sails for the upcoming journey. 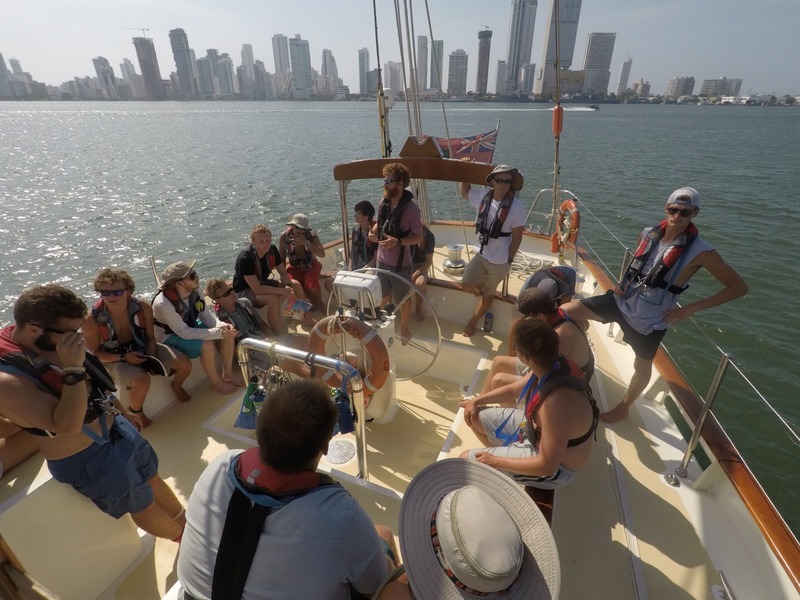 Argo’s crew enjoyed Colombia, but is no doubt excitedly looking forward to our passage through the Panama Canal. Thepassage to Colon will cover about 300 Nautical miles, and will bring our trip log to 1800 nm! It’s crazy to think that we have already covered 1/3 of the ground we will cover on the trip; thankfully, we have another 2/3 left. 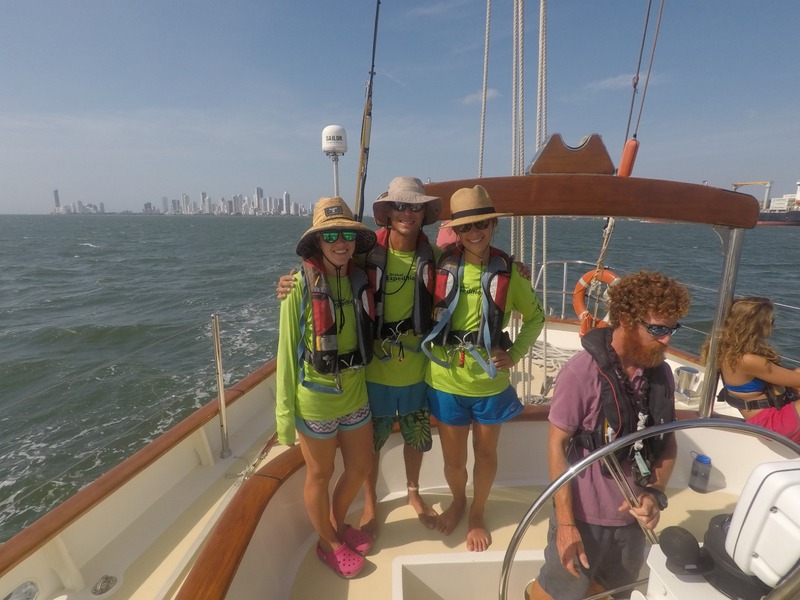 We left Colombia at 1500, and have been making good time (9 knots) for the duration of our sail. 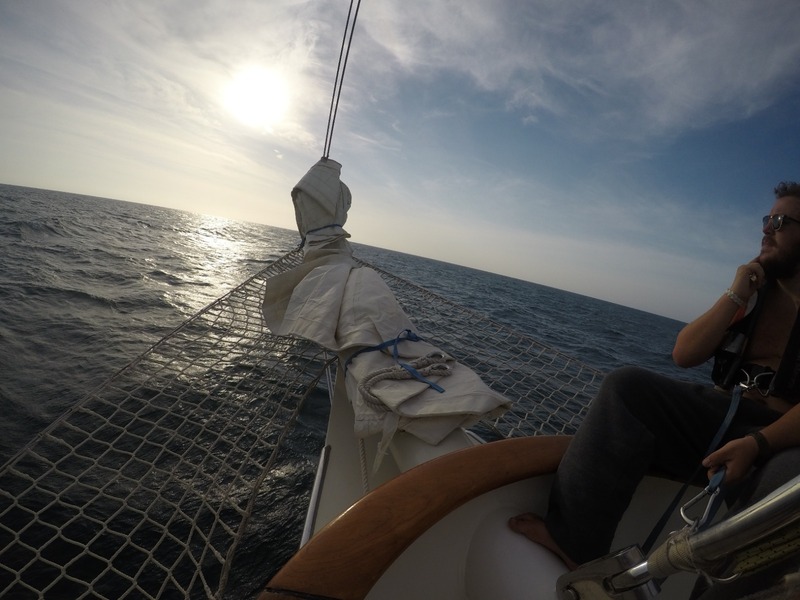 We were able to fly five sails today: The Main, Staysail, Fore Staysail, Fisherman’s Sail and Jib. The addition of the latter two was exciting for the crew, and I hope we will be raising all six sails soon! While sailing at a nice, steady and speedy beam reach; one truly feels the quintessence of a large sailing boat. Everyone is healthy, eating hearty, and having the sail of a lifetime.